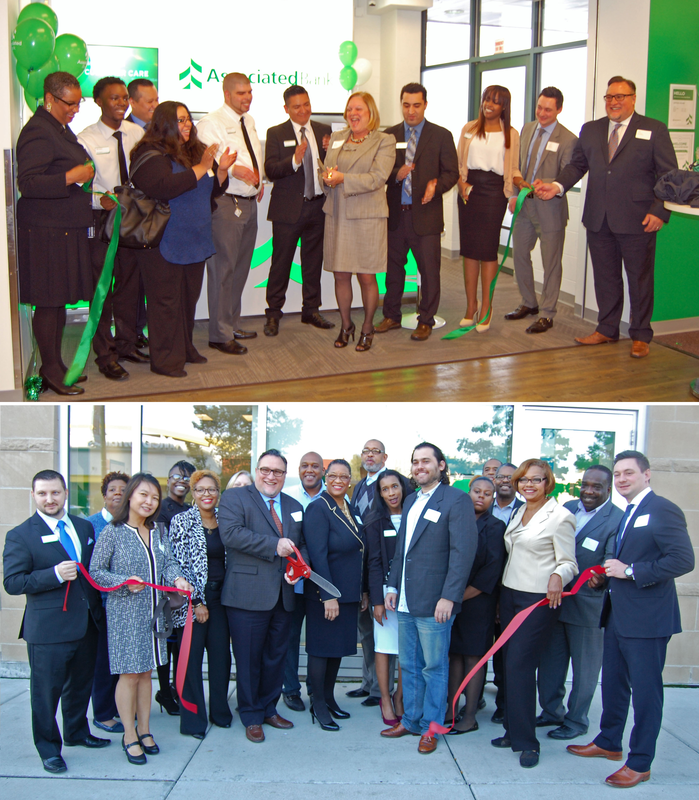 Associated Bank recently celebrated the opening of two new full-service branches for customers in Chicago’s Rogers Park and Bronzeville neighborhoods. Community leaders, customers and neighbors attended these very special ribbon cutting events. Jewel Osco photo on top – Sandy Lorenz, Market Executive - Branch Banking at Associated Bank, cuts the ribbon during the Jewel-Osco branch event. Bronzeville photo on bottom – John Halechko, Director of Branch Banking at Associated Bank, cuts the ribbon during the Bronzeville branch event.